Cool gear and goods for Audi owners. We'll admit we're thoroughly addicted to playing Forza Motorsport 4 and driving is only half the fun. The other half is the creation of vinyl groups and livery designs that we've put up for sale on our FOURTITUDEoCOM Forza 4 store and in our Fourtitude car club within the game (friend us within the game and we'll add you to the club). 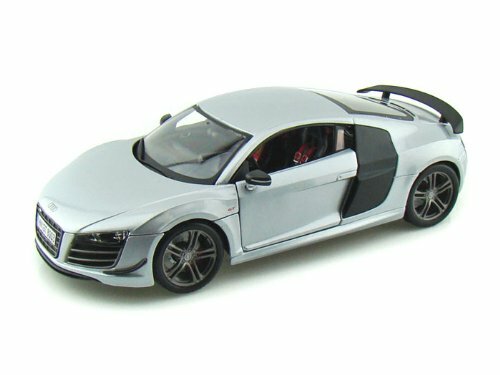 We featured a scale model Audi R8 GT on our recent 2011 Holiday Gift Guide for the Audi Enthusiast , though as a resin model that one may have been a bit expensive for all but the serious scale model collector. Not so with this 1:18 scale Audi R8 GT we found on Amazon.com following its inclusion on a similar gift guide we found over on Nick's Car Blog. Check out the latest T-shirt design from one of our favorite T-shirt vendors in the UK. Entitled Quattrific, the new design is geared towards the hordes of fans who love Audi's rallying era with a clean artistic design depicting the S1 rally car. Check it out after the jump. For model car collectors, 1:87 is a very small but highly detailed scale and Germany's Herpa is manufacturer of one of the most detailed lines of very small cars. In as much, we were excited to see the German company release their take on the Audi RS 3 Sportback. Looking for something to set you apart from every other guy dropping a card in the free lunch jar at Chipotle or when exchanging info with top executives? Look no further than this card made from real carbon fiber by Carbon Fiber Designs. Pricing hasn't yet been announced but we're guessing it'll be a bit more than the typical card stock fast track special from Office Max.